I have been doing a lot of rummaging in my 'cellar' (spare space in flat) during the past month or so. 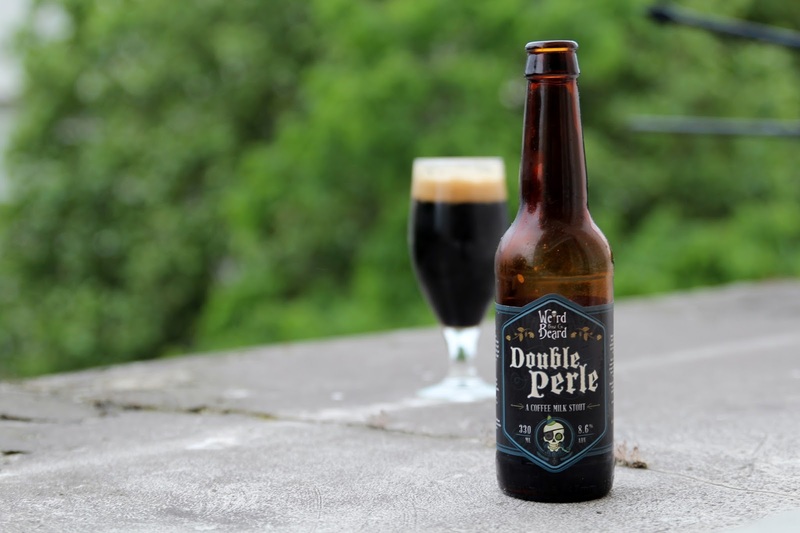 My latest discovery is this, Weird Beard Double Pearl, which was bottled in July 2014. This beer would not reach its second birthday. It pours oily black with a dense, creamy mocha topping. The aroma is simply gorgeous, with lots of milk chocolate, smooth coffee, some dark fruits. Big sweet flavour - a little syrupy but still rounded and smooth, with more gooey chocolate, moderate roasted malts, burnt toffee, raisins, dried cherries and coffee ice cream. Full bodied, creamy and chewy, with fine carbonation. Barely a suggestion of the alcohol in the finish, just a little bit of warmth, with further overarching chocolatey character, more coffee ice cream, a dash of espresso bitterness, scorched earth, more raisins, faint vanilla and toffee. This is spectacular stuff. The richness of the chocolate is just phenomenal. This is definitely one of the best Weird Beard beers I have had. It has aged beautifully.